Scholars Day at Daemen College is a day when nominated prospective students have the opportunity to compete for one of our ten prestigious Trustee Scholarships. Every student who applies for admission to Daemen College is considered for a merit scholarship. In order to be nominated, you must apply and be accepted into Daemen College. Only those nominated are invited to apply for the Trustee Scholarships. Apply and be accepted to Daemen College. Apply for admission online at www.daemen.edu/apply or contact the Admissions Office at 716-839-8225. Prospective first year students are invited by the President to apply for these prestigious awards. Students are nominated on the basis of their High School GPA and SAT or ACT test scores. They then must complete a Scholars Day application and interview on campus during Scholars Day. (Unfortunately, there are no make-up dates). No, the scholarships are to be used for tuition only. No, if you have already received the President's, Dean's or Alumni award it will be replaced by the Trustee Scholarship award if you are selected. However, you will be able to use scholarships you receive from other, non Daemen sources. The combination of the Daemen College Trustee Scholarship and TAP payment cannot exceed the cost of tuition. Yes, the scholarships are renewable for four years providing you are full time and maintain a 3.0 GPA. (This award will be extended for those majors requiring 5 or 6 years to complete i.e. Accounting, Athletic Training, Physical Therapy and Physician Assistant.) Student must be enrolled at Daemen College. Daemen College feels that Scholars need opportunities to learn without the pressure of financial concerns. Trustee Scholarships offer this opportunity to all types of people, those from diverse backgrounds and experiences as well as from all socio-economic circumstances. We seek students who are able, curious, disciplined; students with vision and the enthusiasm to breathe life into their dreams. Please be aware that the Free Application for Federal Student Aid (FAFSA) can be filed starting October 1 in order to receive a financial aid package from Daemen. Please remember to include Daemen's code (002808) so we receive your FAFSA information electronically from the government. 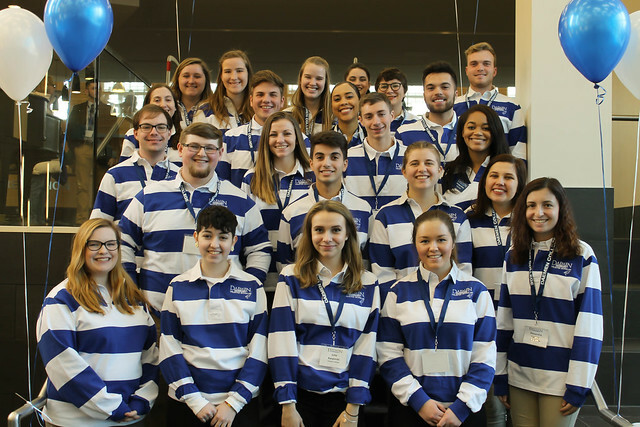 Students who apply to Daemen will be considered for one of five scholarship awards: Presidents, Founders, Deans, Distinguished Faculty or Alumni scholarship. This prestigious scholarship is awarded annually to first-year students or transfers based on academic performance. Specification: Renewable upon maintaining a 3.0 QPA and full-time undergraduate status. The Founders Scholarship is awarded annually to first-year students or transfers based on academic performance. The Deans Scholarship is awarded annually to first-year students or transfers based on academic performance. The Distinguished Faculty Scholarship is awarded annually to first-year students or transfers based on academic performance. The Alumni Scholarship is awarded annually to first-year students or transfers based on academic performance. Specification: Renewable upon maintaining a 2.0 QPA and full-time undergraduate status. Both undergraduate and graduate students who complete the entire application process will have an opportunity to receive a scholarship based on academic performance. Scholarships range from $9,500 - $12,500 for academic year. In order to be eligible for a scholarship, students must apply to the college. Upon acceptance, students will be notified regarding the amount of their scholarship. This prestigious scholarship is awarded to select first-year students of the highest caliber. Students must be nominated for this award and submit a separate Trustee Scholar application in order to compete for this award. Students will interview at Scholars Day. Specification: Renewable upon maintaining 3.0 QPA and full-time undergraduate status. This prestigious scholarship is awarded to select transfers of the highest caliber. In order to apply students must be nominated for this award and submit a separate Transfer Trustee Scholar application in order to compete for this award. Students will interview at TRANSFER Scholars Night. Full-time first-year students and transfers accepted for admission with the recommendation of the appropriate coach. This award is given to first-year art students whose portfolio reflects outstanding talent as determined by a portfolio review by the Art Faculty. Generous 50% tuition grants for registered nurses are available. These grants are not based on financial need and are guaranteed through the completion of the BS degree requirements. Nursing tuition grants (up to 50%) toward the cost of tuition are calculated utilizing the cost of tuition less any Tuition Assistance Program (TAP) or Aid for Part-time Study (APTS) proceeds. Full-time students working towards a graduate degree in Arts Administration, Athletic Training, Executive Leadership and Change, International Business, Public Health MPH, and Social Work MSWare eligible for a thirty (30) % tuition only scholarship, applied to the full tuition rate. Full-time students working towards a graduate degree in Special Education are eligible for a fifty (50) % tuition only scholarship, applied to the full tuition rate.